I’ve decided that I love Fields. Very much. And you’ve decided that you really don’t care whichever band I like especially the ones you’ve never heard of. 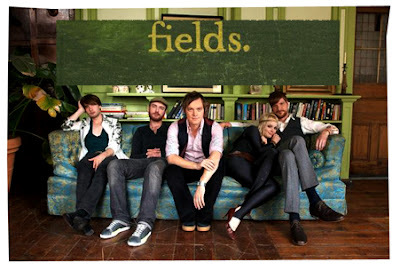 Fields are an Anglo-Icelandic electronic/indie band formed in London during the year 2006. In my own personal opinion, people who live around here, actually fears the word ‘electronic’ mainly when associated with music. I think the reason to this is that radios such as hitz or whatever don’t play the electronic genre section enough. Don’t get confused with ‘dance’ though, that’s a different genre altogether. I don’t think Fields is really electronic anyway; let’s just say if you can stand listening to Linkin Park, than you’ll have no problem with Fields’ music. They’ve just released their debut album called ‘Everything Last Winter’ on April 2nd 2007 and bloody hell, you have no idea how much I want that album. Songs that particularly ‘rocks my socks’ are all listed below and are available for download. (right click-save as).